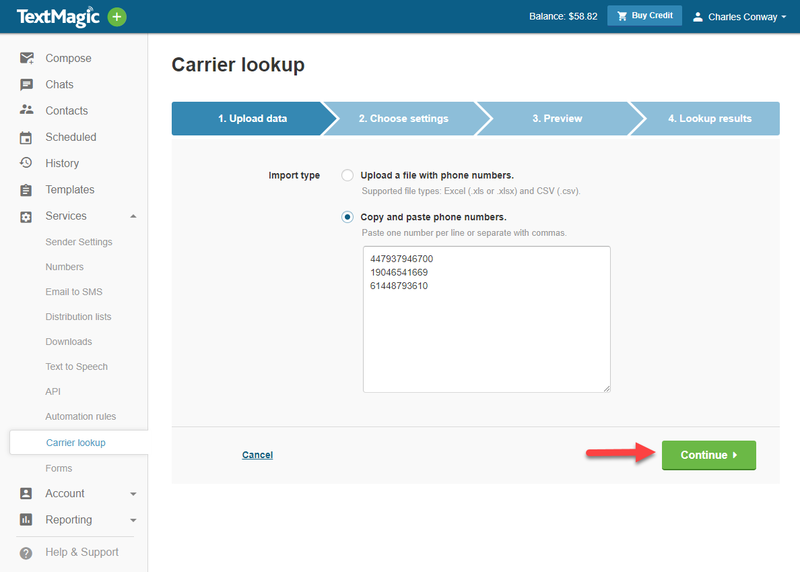 Our phone carrier lookup tool helps you identify the name of the carrier by extracting information from a phone number. 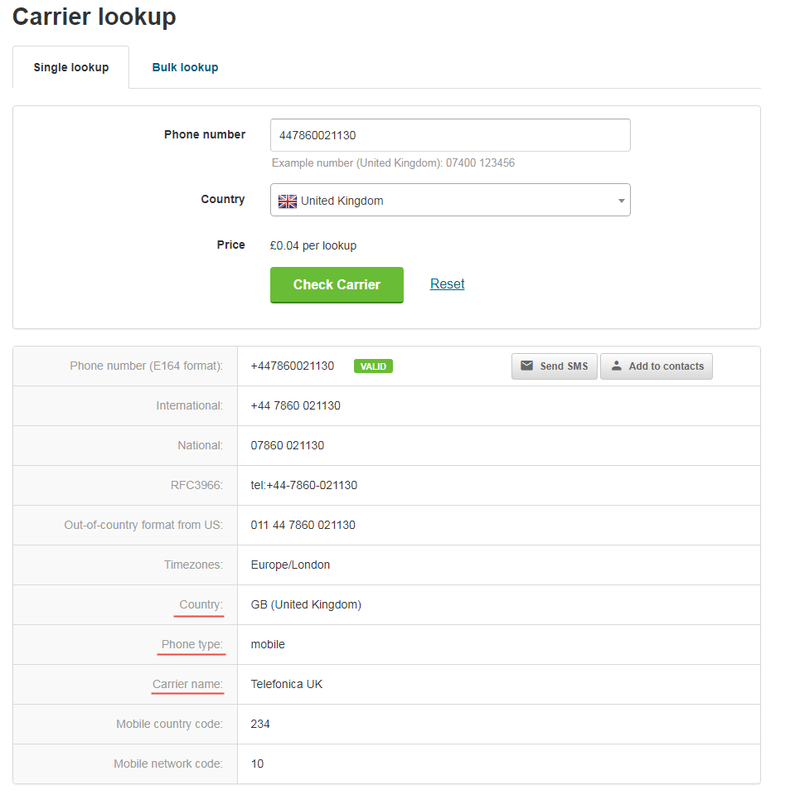 This simple and extremely valuable tool can be used to uncover more information about a phone number in your database. 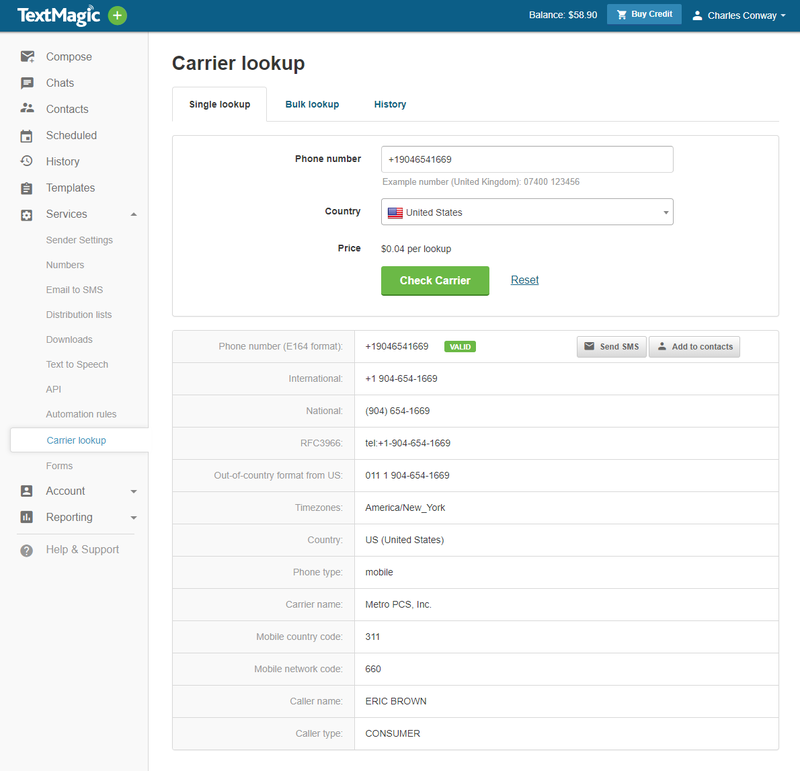 Select Services and then Carrier lookup from the main menu. Type the number you want to lookup. Choose the country (only if your number is in a local format). 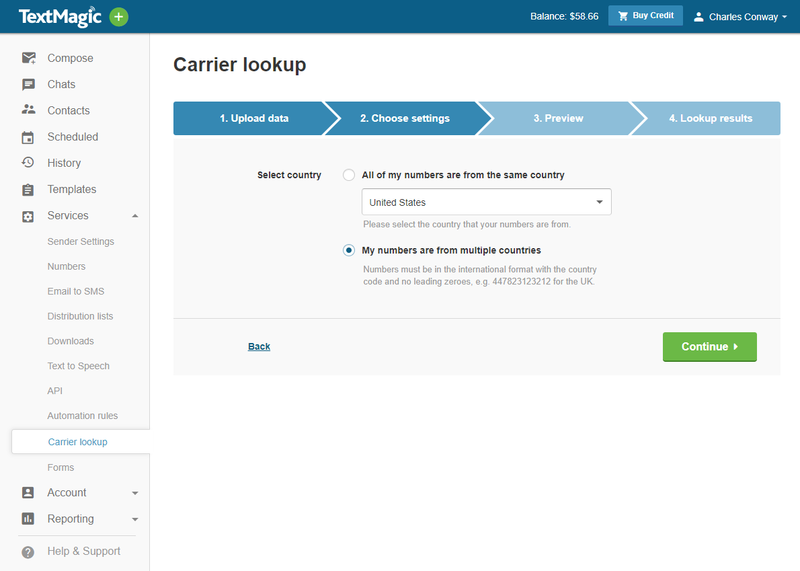 Select the Bulk lookup tab. Check the summary and click Start. 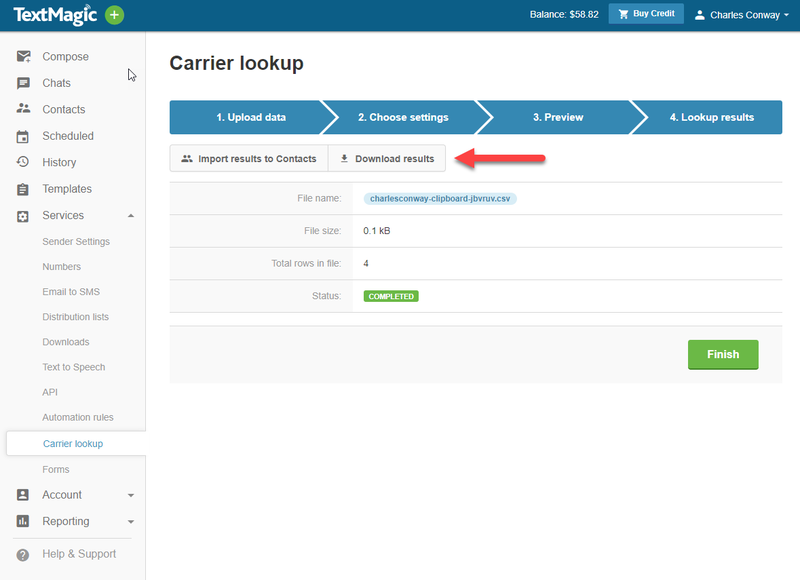 Now you can Import results to Contacts or Download results.